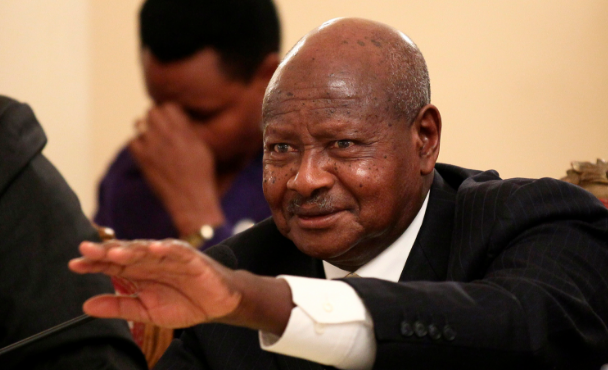 KAMPALA – President Museveni has condemned the brutal killing of former police officer Muhammad Kirumira and vowed to track the killers. In a brief statement issued on his Facebook page on Sunday afternoon, the President said the criminals are still using gaps such as the absence of CCTV cameras and failure to electronically register Boda Boda riders. “The criminals are still using the gaps I identified in my speech to Parliament. You remember the 20th June 2018 gaps? The Police Force is working hard to fill the gaps. They have started installing the cameras and other measures are being put in place,” he said. “The electronic identification of boda-bodas would have helped us to identify these people quickly. However, while still using the old methods, I want to salute the residents of Bulenga for, although not armed, some Boda Bodas gave chase to the killers- 4 of them riding on motorcycles – up to Mile 9,” he added. He also revealed that the national security met on Sunday morning to devise means of ending the killings. “On the urban criminals, the subcommittee of security began meeting at 10:00hrs under my chairmanship and we are to stop these pigs by not just relying on the old police methods. Pending the installing of cameras etc everywhere, we are going to re-activate the Luweero methods to deal with these cowardly pigs. Wait for my announcement this afternoon,” he said. The electronic identification of boda-bodas would have helped us to identify these people quickly. However, while still using the old methods, I want to salute the residents of Bulenga for, although not armed, some Boda Bodas gave chase to the killers- 4 of them riding on motorcycles – up to Mile 9.